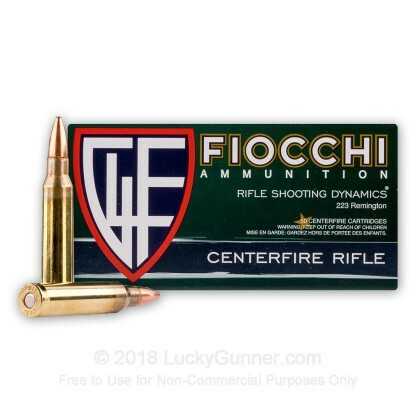 Newly manufactured by Fiocchi of America, this product is excellent for target practice and shooting exercises. 1000 rounds and no failures ???????? Great ammo. No miss fires and accurate. Great ammo and service. No problems with order and quick reliable delivery. I have gone through 1000 rounds with no miss fires. I will make a second purchase soon. Great stuff no problems at all! I would recommend to a friend, great ammo. Used at the latest Marine Corps League rifle match in Pennsylvania! OUTSTANDING accuracy! I bought this ammo during the Fourth of July sale, well it is still inexpensive but I got a deal! 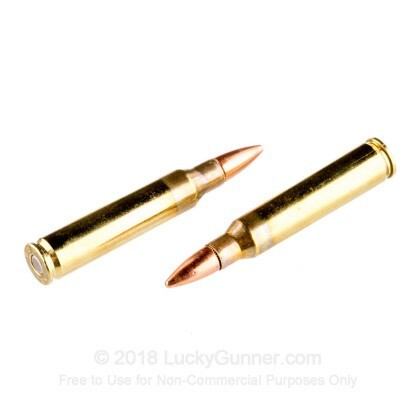 This ammo is clean, shoots well, and unless you were using it for comp (which I don’t think you would) you cannot go wrong here!!!! 500 out of 2000 down and I love it. This company has the value and ethics all companies should follow!! 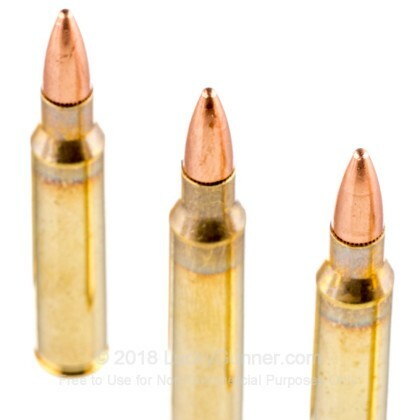 Shoot these in my Rock River AR 15, at 100 yards I can cover the spread with a silver dollar. Great ammo! runs great through multiple platforms, no malfunctions. Reloadable brass. Quick Shipping as always from LuckyGunner! Great for range or ranch use. Will be buying more! Fast shipping, quality product, no problems at all with this ammo! Hope they get more in stock soon. have fired about 500 rounds through my windham carbon fiber ar-15.absolutely no problems whatsoever.great service,great price. This ammo feeds great has an outstanding price and its fresh ammo, it's not remanufactured, it's virgin brass. 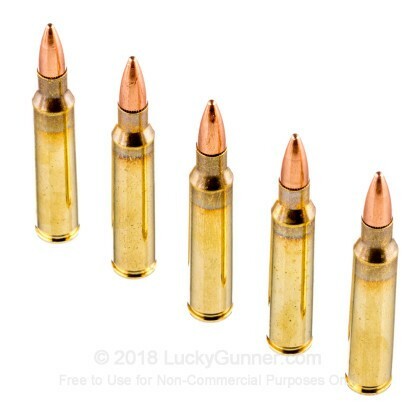 It's not match ammo but for plinking or training it's great ammo. A good value for its intended purpose. Good, clean ammo. Purchasing and shipping was hassle-free. Thanks LG! Great value, performance and price! Not quite the performance of a Sierra MatchKing but for this price a round this is great ammo! Luckygunner is the best. Great products and fast shipping. I have bought Fiocchi 223 before. It always fires really well for me through my SCAR and Mini 14. It is a little pricey but with this quantity it will last me a long time. Q: Are these shells magnetic? A: Hello Cal, This ammunition is loaded with copper jacketed, lead core ammunition that does not contain any steel. Q: Is this made in the Ozark, Missouri plant, or shipped in from Italy? 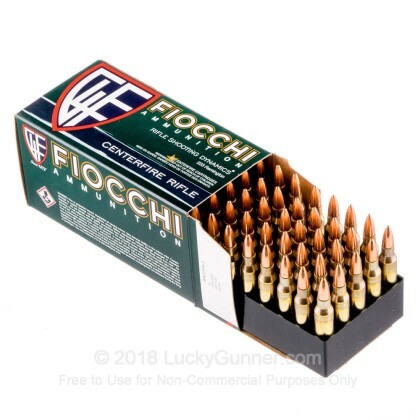 A: Hello Timothy, This ammunition is packaged in boxes that list the manufacturer as Fiocchi of America. That designation means this ammunition is manufactured in their Ozark, MO manufacturing plant. 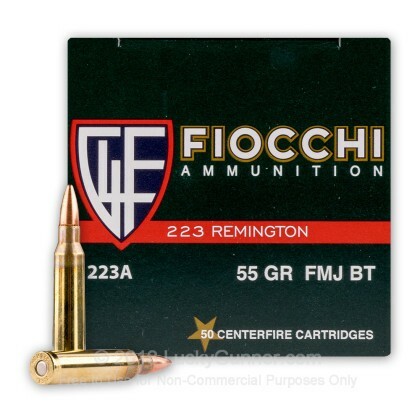 We also have this 223 Rem - 55 Grain FMJ - Fiocchi - 50 Rounds ammo in stock in a smaller quantity.